The Dx Adventure Radio Club (DA-RC) is home to many devoted Shortwave Listening (SWL) enthusiasts. That is, those who share a passion for the mystifying and often enigmatic world of radio transmissions. 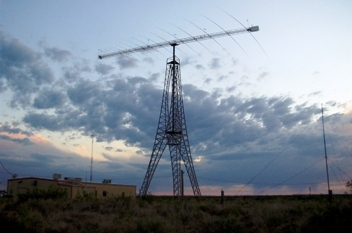 Many of these members, in actuality, are dedicated to the specialty within SWLing that is DXing in which the goal is to receive faint, distant, and otherwise hard-to-hear stations. Some say DXing on shortwave is like “panning for gold”; DXers patiently while working through noise, interference, and fading to hear a low powered station deep in the Amazonian basin of Brazil or somewhere in the Indonesian archipelago. 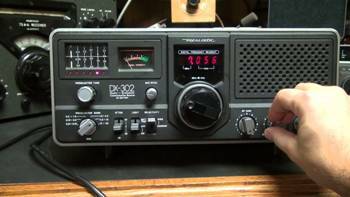 Shortwave Listening (SWL) is the hobby of tuning for shortwave radio broadcasts located on shortwave frequencies, typically thought of as those from 1700 kHz (the upper limit of the AM broadcasting band) to 30 MHz (the lower limit of the tuning range of most scanner radios). 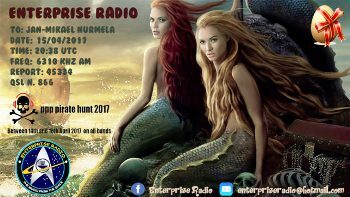 In between those two frequencies, a simple, low cost shortwave radio is capable of letting you hear news, music, commentaries, and other feature programs in English, as well as other languages, from stations located around the world. 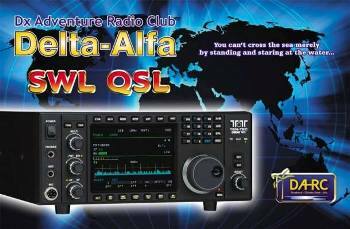 Listening to shortwave broadcast stations for news and information programming is common, but for many SW listeners the goal is to RX as many stations from as many countries as possible, also known as DXing. DXers routinely test the limits of their antenna systems, radios and radio propagation knowledge. 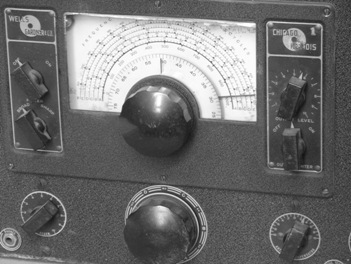 Specialised interests of shortwave listeners may include listening for shortwave utility transmissions such as shipping, sailing, naval, aviation, or military signals, listening for intelligence signals (numbers stations), or tuning in ham radio or freeband stations. 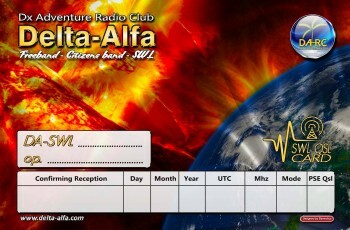 Listeners often obtain QSL cards from ham or freeband operators, broadcasters or utility stations as trophies of the hobby. Some stations reply with QSL letters instead of cards, and a few send other items, like pennants with the station’s name or call letters, to lucky SWLs. Traditionally, listeners would send letters to the station with reception reports, comments on programming and requests for schedules. These reception reports are important as the reception of a shortwave station on a given frequency will usually vary greatly with the time of day and season of the year. Shortwave reception is heavily influenced by solar activity as indicated by the number of sunspots visible on the Sun. Solar flares and storms can disrupt shortwave reception for hours and even days and QSB is also common on the shortwave bands. Reception reports provided by SWL DXers, therefore, give constructive information about propagation and interference to a station’s engineers. 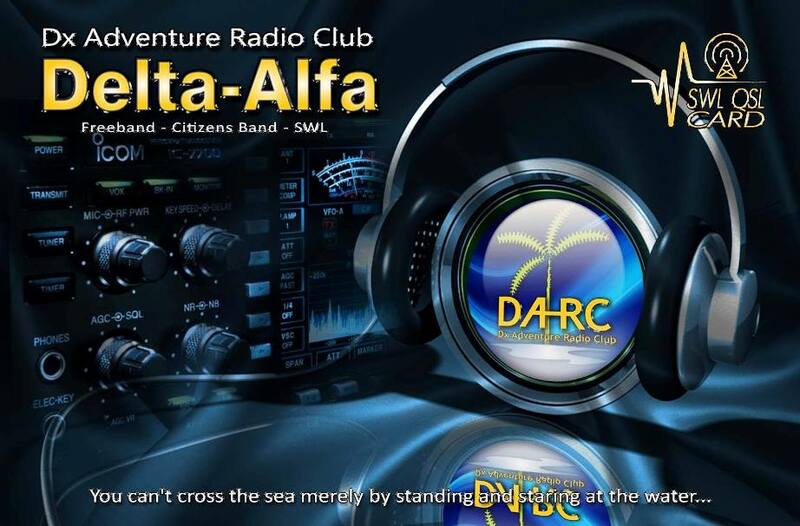 The Dx Adventure Radio Club (DA-RC) has a few different SWL QSL card designs available to members for this very purpose, with full colour fronts and backs and traditional SWL data fields! Serious hobbyists may use expensive communications receivers and outdoor antennas. More often than not, a modern solid-state communications receiver will be of the superheterodyne type in double, triple or, more infrequently, quad conversion. It will feature multiple RF and IF amplification stages and may have at least one IF stage that is crystal controlled. It will usually have an additional BFO product detector for SSB and CW reception capabilities. The frequency coverage of receivers of this type is normally in the range of 500 kHz to 30 MHz. The front panel controls are typically more wide-ranging than those on a local broadcast receiver. Usual features include: signal strength meter; RF gain control; AVC/AGC adjustments; antenna tuner; bandwidth filters; BFO tuning; audio limiters or attenuators. Frequency display dials may either be analogue (typically marked to fine increments for accuracy) or digital. Contemporary medium quality shortwave radio receivers tend to be relatively inexpensive and easily accessible. Many hobbyists use even less-expensive portable receivers with good results. 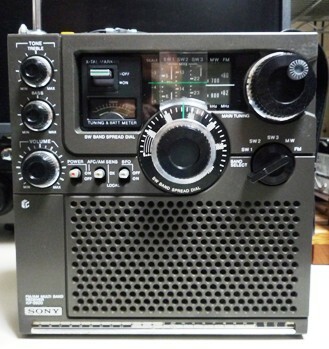 In general, any given shortwave radio will benefit from an external antenna – even a simple wire antenna – as long as the antenna is away from electrical noise sources. The standard shortwave receiving antenna is the dipole antenna which can be readily purchased or made by hand from a roll of wire and a couple of insulators. 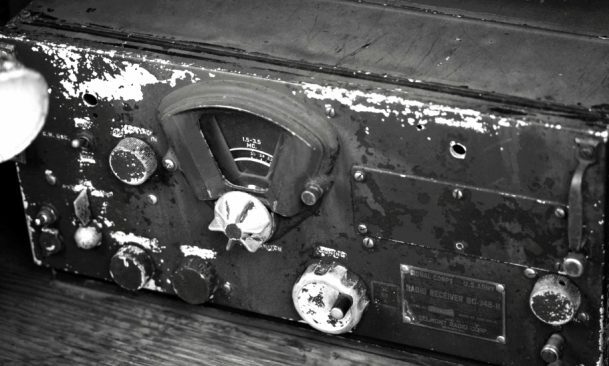 Radios for shortwave reception generally have higher performance than those intended for the local AM or FM broadcast band. 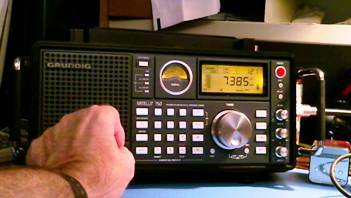 Good reception of shortwave signals requires a radio with good sensitivity, selectivity, and stability. Why bother listening to SW in this era of communications satellites and cable television news channels? Perhaps the major reason is that SW operations can give you a unique perspective on events that you simply cannot get from other media. If you watch coverage of an event in Moscow from CCN or CBS News, you get the American perspective on what is happening from an American journalist. If you listen to the Voice of Russia, you get the Russian perspective from a Russian journalist. As you might expect, the two interpretations of the same news event can be quite different. Of course, not all shortwave stations broadcast in English. If you’re studying a foreign language – or want to maintain your proficiency in one – shortwave will offer you an unlimited supply of contemporary practice material. If you enjoy music, shortwave will let you hear sounds you probably can’t find in the even the most specialized record and CD shops. In addition to ham and freeband radio operators, aircraft flying international routes, ships at sea, and military forces are also big users of shortwave. In fact, some SWLs ignore broadcasters altogether and specialize in trying to hear such “utility” stations. It is tough to imagine anyone interested in what’s happening beyond the borders of their home nation not owning a shortwave radio. No other tool can provide you with such an eclectic input of news, music, and culture for such modest investment. Even in this age of satellite TV and the internet, there are significant portions of the Earth that can only be accessed via shortwave radio.